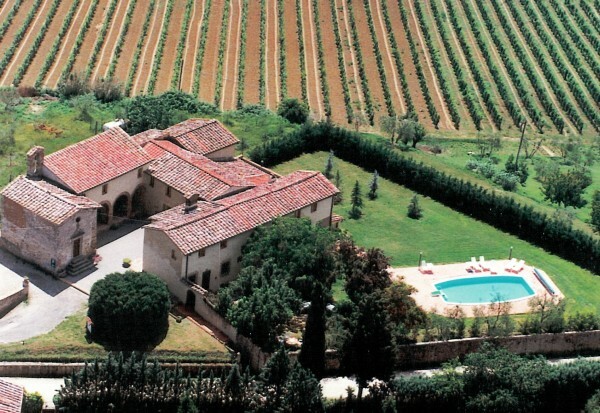 The estate is in the country side along the so called Via Francigena on the hills around San Gimignano. No more than 5 km from the estate there is the famous Castello della Magione. The buildings are beside a 10th century church, dedicated to Saint Nicholas, 8 km far from San Gimignano; the building that once was a convent, now is transformed in three comfortable apartments. The apartments are between 90 and 150 sqm. Each of them has 2 bedrooms with 2 beds, 1 kitchen/diningroom and 1 or 2 bathrooms. The garden is reserved to our guests, there they can relax or cook with the barbecue enjoying the fabulous products of Tuscany.